JSABuilderLT lets users review JSAs and AHAs in the field and discuss the safety hazards, risks, and mitigations identified for the specific job, with the workers at the job site. This app allows users “read-only” access to all JSAs and AHAs that have been created and stored in their organization’s JSABuilder library. PDF copies of JSAs or AHAs can be sent via email from iPad or iPhone. 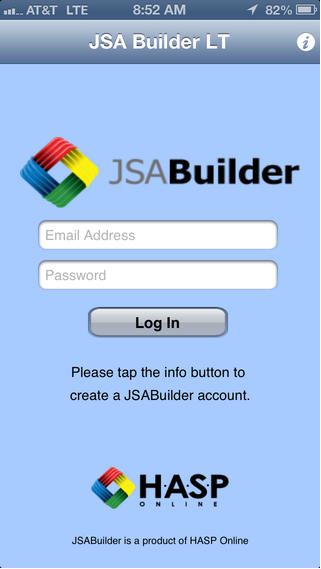 To access the app, customers use their JSABuilder website log-in information.